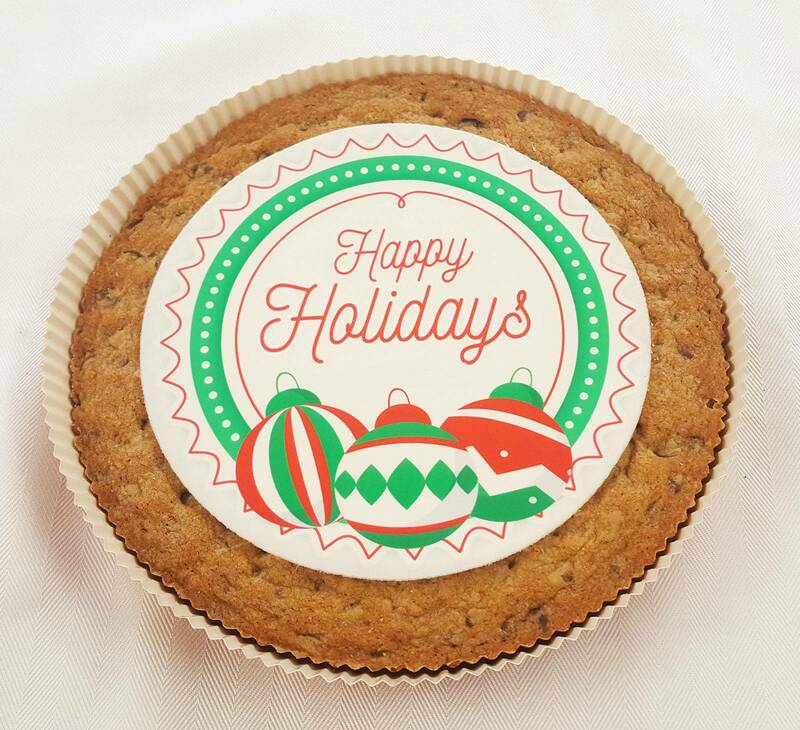 A classic cookie cake filled with rich chunks of chocolate, hand-iced and printed with a beautiful holiday design. Rolled fondant printed with 100% edible-ink over the cake. Our famous Chocolate Chip Cookie Cake decorated with a beautiful holiday design. Who can resist the bold flavors of cookie dough and giant chunks of chocolate? Just the smell of fresh-baked cookies alone is enough to bring back delicious memories. We take that nostalgia to the next level with our company logo cakes made out of giant chocolate chip cookies. Our proprietary printing system lets us print edible ink directly onto icing for full color control. Rolled fondant printed with 100% edible-ink over the cake. The Holiday design comes out looking perfect and tasting great. Bring on the giant glasses of milk!